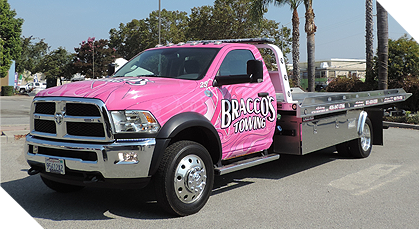 Bracco's Towing – Here for all of your light vehicle towing and recovery needs. 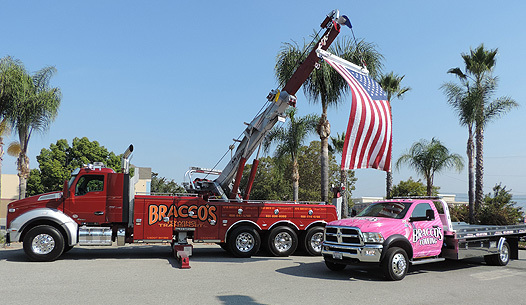 recovery or equipment transport — we’re here to help. 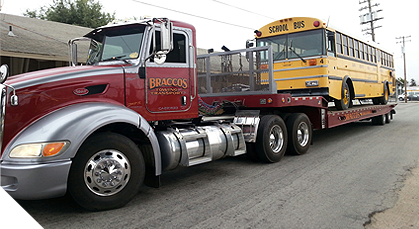 Bracco’s Towing and Transport Inc. was founded in 1992 by Dion Bracco. 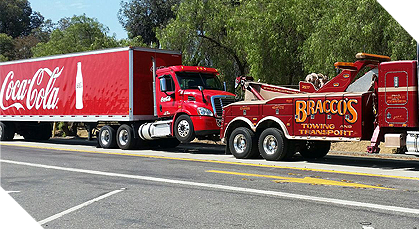 From passenger cars to large commercial vehicles, we have the equipment and expertise to tow, recover and transport your vehicle or cargo efficiently and professionally. In addition to the services we provide, we also take pride in supporting our local community which has supported us through the years allowing us to grow to three locations. We dedicate time and resources to organizations that include the Exchange Club of Gilroy, Memorial Day Parade, Sober Graduation, Every Fifteen Minutes, Towing Operators Working to Eliminate Drunk Driving, Breast Cancer Awareness, Gilroy Gang Task Force, Police Activities League D.A.R.E., School Crossing Guards, Salvation Army, St. Joseph’s Family Center, New Hope Compassion Center, Downtown Flag Project and Anchorpoint Christian Warriors Football.